The BBC has responded to complaints about a sudden reduction in the quality of its HD programming, with the Head of BBC HD Danielle Nagler insisting that the problems were nothing to do with a concurrent reduction in bit-rate. The BBC has been criticised for reducing bit-rate, with complaints over picture quality during mixes and fades, but Nagler insists that changes were necessary and the problem could be solved and was not connected to the reduction. "Following the introduction of the new encoders, there were some issues around the handling of some pictures - primarily mixes and fades - which we acknowledged through the BBC HD blog on picture quality almost immediately," said Nagler on the BBC blog. "We have worked with our encoder supplier to address these issues in the long-term, and also put in place interim changes to minimise the difficulties. "That the encoder change should generate problems for viewers watching BBC HD content is of course a matter for regret, but I do not believe that this was the result of errors in the preparation process. 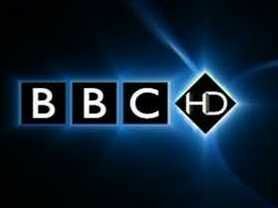 "You have also highlighted the issue of the bit-rate at which BBC HD broadcasts, and the changes to this over time. "I do not believe that the problems that arose following the introduction of the new encoders had anything to do with the broadcast bit-rate, even though they coincided, as you have rightly identified, with a reduction in bit-rate for the channel." Nagler states that the choice of new encoders was coloured by the need to reduce bit-rate. "The BBC has an absolute responsibility to use bandwidth efficiently - whether on digital terrestrial muxes or on satellite. "Bandwidth is not unlimited, and on UK-footprint transponders the demand for capacity is very high. "The current bit-rates were selected through a process which directly evaluated quality on the new and old encoders, using a wide range of programme material and both subjective and objective assessments. "Bit-rate is not the only factor affecting picture quality and a higher bit-rate will not automatically deliver higher picture quality."